They both have their perks and differentiating features, but each is clearly suited for a different user. Let's dive in and take a look at what iCloud Drive has to offer, and whether you should finally ditch dropbox for good. iCloud Drive has made sizable improvements in the last year, particularly with iOS 11 and macOS High Sierra. When it debuted in 2014, it let you store files, but it was pretty shallow and lacked many features we see i other cloud storage platforms. Now, iCloud Drive does much more than syncs your files between your Mac, iPhone, and iPad. It can automatically sync your Desktop and Documents folders, as well as everything inside of the iCloud Drive folder itself. Many applications now natively support iCloud Drive, saving all files within the iCloud Drive folder for easy synchronization. You can scan a document in Scanbot, or edit a photo with Affinity Photo, and have it accessible within each app on any Apple platform. 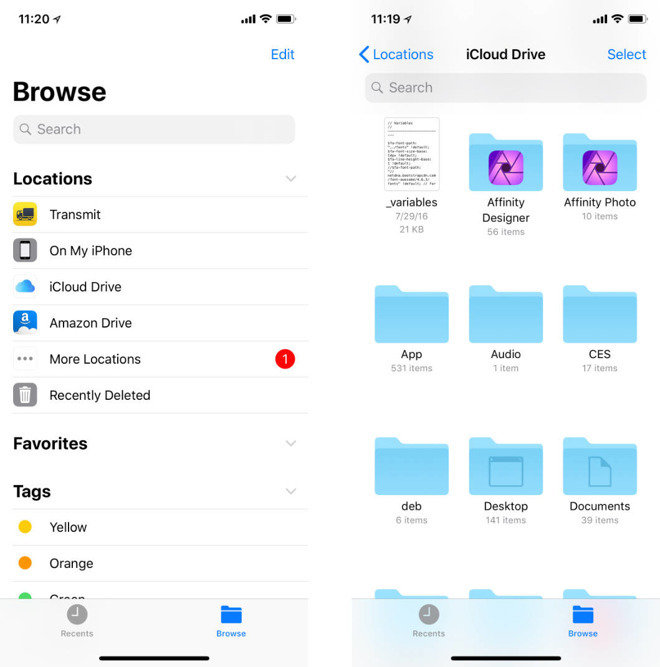 The iPhone and iPad also received the new Files application which makes it extremely easy to grab files from iCloud Drive. It also integrates with many cloud platforms such as Dropbox, Amazon Drive, Google Drive, Box, OneDrive, and more. Windows support is still not amazing, but there is an iCloud Drive utility available. If you just need occasional access or are on a shared computer, iCloud Drive is now accessible via the web. The new web interface is also where you can recover any files that have been deleted in the last 30 days. Dropbox still has the edge when it comes to web tools, but Apple's iCloud website has slowly been picking up features over time. Sharing files within iCloud has historically been problematic, but Apple introduced a new way to share with iOS 11 and High Sierra. You can use the Share Sheet to add people to a file or copy the link to share any way you'd like. One of the biggest benefits of iCloud Drive is that you are able to share storage with your family. Using Apple's Family Sharing, your other family members are able to use the same storage, without having to pay per user. On the flip side, Dropbox offers up a more open platform, at the cost of not being quite so tightly integrated into the OS. It more equally supports both Mac and PC and allows you to sync any folders you'd like. When sharing links to files, you are also able to password protect them, offering greater security. 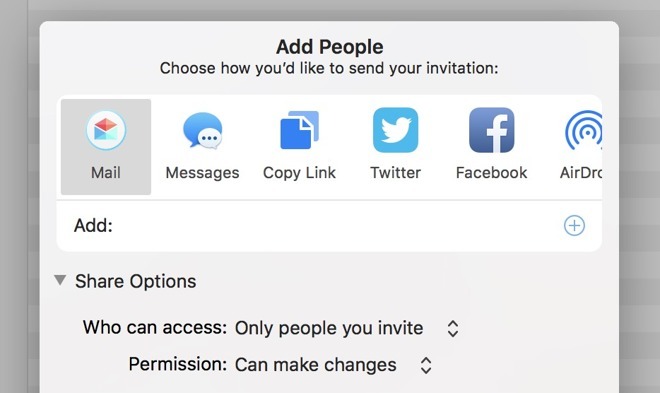 iCloud limits you to only gating access to people you've invited and choosing read or write access. The Basic version of Dropbox also includes 30 days of file recovery, though if you go Pro, you get 120 days. The Pro tier is something that really sets Dropbox apart. It has much more granular permissions, expiring links, Smart Sync, full text search, viewing history, and more. 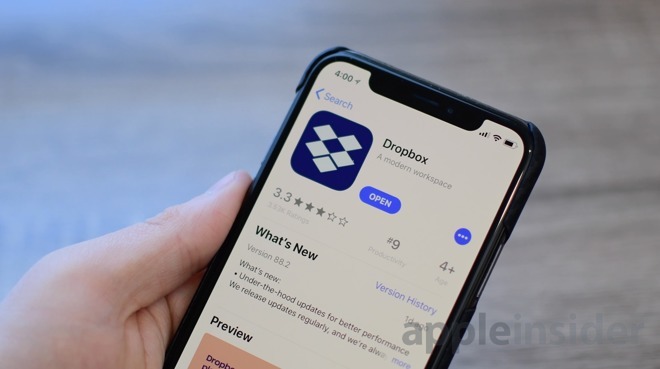 Even though iCloud Drive has fantastic integration with iOS and Mac apps, Dropbox has integrations with Office 365 and other business-focused applications. Those integrations can be very helpful for the professional user. Professional use is clearly one of Dropbox's strong suits. Another relatively new feature is aimed towards them as well, File Request. This allows you to allow others to upload files to your Dropbox storage, whether or not they have an account. They also offer use of Dropbox Paper which is a handy platform for collaboration. Speaking of collaboration, Dropbox also offers commenting on shared files, which makes working together in Dropbox significantly easier. For some, pricing may be the biggest deciding factor. iCloud has the bargain pricing locked in, with storage options of 50GB and 200GB available for $.99 and $2.99 respectively. iCloud is also cheaper when it comes to the 2TB option, costing the same as Dropbox does for 1TB. However, iCloud doesn't offer anything above 2TB, while Dropbox has an unlimited option. So the question is, should you switch to iCloud Drive or should you stay with Dropbox, or vice versa? The answer really depends on your situation. iCloud Drive has matured to be a much more compelling option that in the past, and as it is developed by Apple it has a much higher chance to be integrated more into the OS, to take advantage of the newest features, and to be less reliant on shareholders. Dropbox, being as the whole business is built on their cloud storage, has devoted a lot of resources into adding additional features and perks in an attempt to justify its pricing. Some of these may be too tough to live without. If you are using this in a more business environment, or need better integration with a Windows PC, Dropbox may be better suited. If you are looking for the most amount of storage for your dollar, again, Dropbox is probably the answer. If you just want the cheapest option or have a family to share it with, iCloud Drive is your go-to. If you are looking for primarily personal use, and have all Apple devices, iCloud Drive is by far the best fit. How iCloud Drive will change with this year's suite of upgrades is still unknown. As is how Dropbox will develop once it goes public.